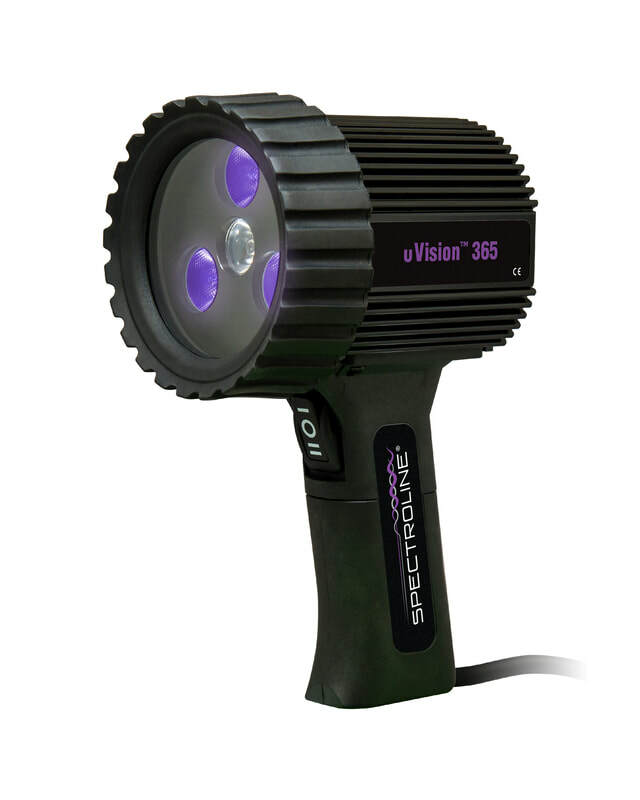 The uVision™ 365 Series is Spectroline’s innovative line of compact, broad-beam NDT handheld lamps. These lightweight yet rugged lamps boast an IP65 rating – they are dust-tight and water resistant. Using a state-of-the-art heat sink design, the uVision™ is mechanically cooled without the need for a fan. In addition to three powerful UV-A (365 nm) LEDs, it has a convenient white light LED for illuminating work areas. Compliant versions have embedded microprocessors to keep lamps within specifications.